We put PACKING work of our fabrics on the same extreme important level as fabrics' own quality. Everyday we are following different customers' different strict requests on packing. Everyday we are studying which packing is suitable for our customers, in order to let our customers to save their labour and time costs in working our goods, to create extra value for our customers. 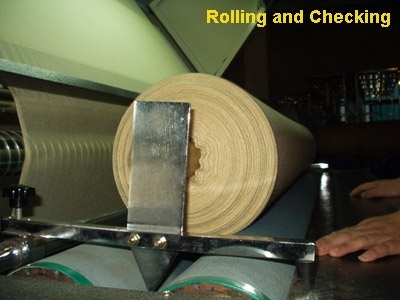 We are adapted in special packing for lamination use, we have enough experiences in packing the thin and elastic knitted fabrics for lamination use. Established in 1985, all the machines have been replaced by Germany original "Karl-Mayer" HKS high-speed E28 & E32 new warp-knitting machines 12 sets. Main products: tricot dazzle and brush fabric, mesh fabrics used for sports wears and linings. Aloba,etc. 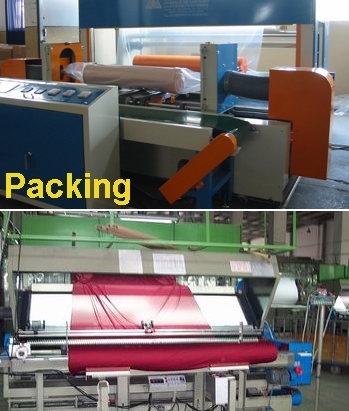 Established in 2003, now possess 8 sets of Germany original high-speed E28 warp-knitting machines: 2 sets are "LIBA" brand, 6 sets are "Karl Mayer" brand. 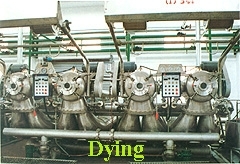 Main products: thin tricot and special tricot for shoe use. Started from 2011, we equiped with most advanced Germany "Karl Mayer" high-speed RD6/1-12mm E22 2-bar machines 6 sets. we are the sole factory equiped with this most advanced machines in Shanghai-Jiangsu-Zhejiang districts. Our daily output of high quality 3-D spacer mesh is around 5000mtrs. Developped by Germany KarlMayer company in 2011.
the most advanced 3D spacer knitting machines in the world.